We know they had a special feeling about each other once. We can see photo's of them together all over the web and I can't help myself, by looking at their photographs, to ask how tall they are. Let's take a look at a picture of Harry and Taylor Swift below. Harry Styles and Taylor Swift by justjared.com. This photo is from justjared.com, (no copyright infringement intended), just wanna make that clear. 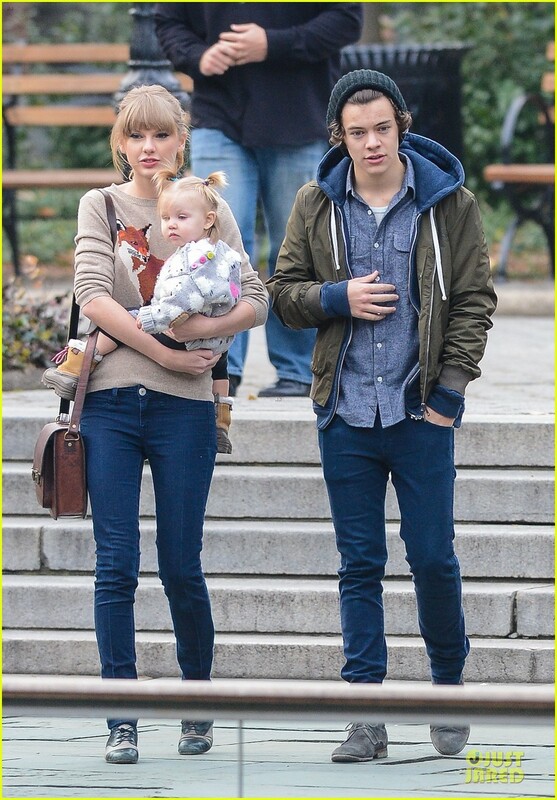 As we can see Harry and Taylor's height here doesn't look that much different. You can simply say Harry is taller by a bit. But take a look at those pair of shoes he's wearing, the boots would be a good one or two inch plus height to him. While Taylor Swift is wearing plain flat shoes. So, basing on the picture and of our posts about their height, I'd say they are just as tall as each other without shoes, I mean basing on their real height. They are both 5' 10" tall. Here is a video from youtube.com comparison of Harry Styles' and Taylor Swift's height.